His other singles include such classics as "I Like That" and "Pop That Booty." Welcome to our first edition of"Forgot About that $#!+ Friday," a new weekly segment on Suite Sports that will remind you about something awesome you've probably long since forgotten. 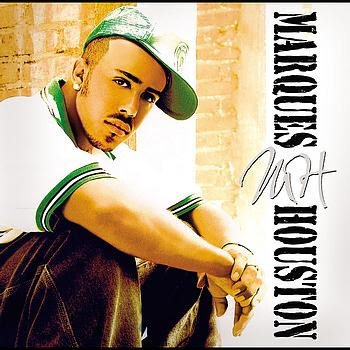 This week's $#!+ that you totally forgot about is the song "Clubbin" by Marques Houston, featuring the timeless Joe Budden and R. Kelly, who is credited as the "Pied Piper" on this track for some reason. Other than being a song by the kid from B2K featuring that dude that sang "Pump It Up" with supporting vocals from the "Trapped in the Closet" fella, this is a song you don't remember partying to in high school/college. But, trust me, you probably did. Despite the fact that the song peaked at No. 39 on the Billboard 100 in the Summer of 2003, I feel like I heard this jam every time I went out. But, it wasn't a song anyone knew by heart or had on their iPod (Damn, I didn't even have an iPod back then!!!). So, why was it so omnipresent when high school me was trying to get his swerve on? Ok, maybe that has something to do with me growing up in South Florida, but listen to this song and tell me you haven't macked on a few hunnies with it playing in the background. Also, note Houston's awesome Tim Couch jersey and Joe Budden's sweet Doug Flutie powder blue Chargers jersey. Much like this song, both of those are timeless classics.